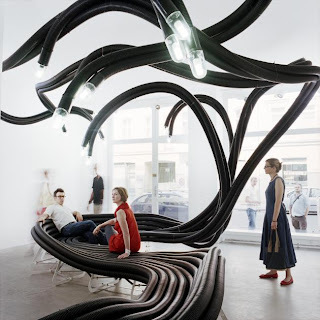 Belgian designer Sebastien Wierinck creates installations of sculptural furniture made of flexible polyethylene tubes. From public benches to cafe seating to temporary installations, his pieces always challenge the way people view and interact with environmental space. Finally a creative use for those flexible polyethylene tubes!